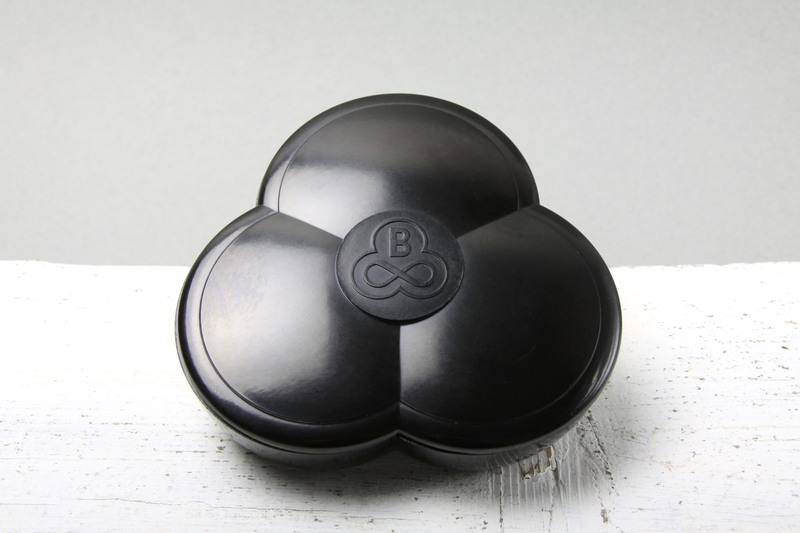 This is a Beautiful Art Deco black Bakelite trefoil shaped lidded box, made by Bakelite Limited, London circa late 1930’s. This design can also be found with an inscription to commemorate the coronation of George VI, May 12 1937. dating this piece to a similar age. Most likely a promotional piece for shopkeepers or business associates. Its lidded form and compartmentalised interior make it perfect as a desk tidy, but could also be used as a trinket / jewellery box. Would make a Stunning addition to any Bakelite / Art Deco design collection, and would complement any antique, vintage, 1930’s, 1940’s, Art Deco, Modernist, Bauhaus, minimal or contemporary interior. 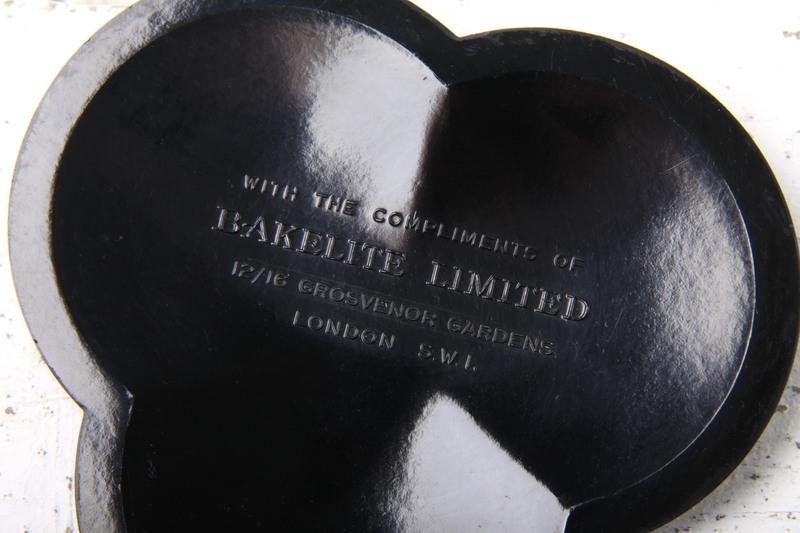 In Excellent Condition, no cracks, the back underside lip of the lid is rough from use over the years, some tiny chips, not visible on display and do not detract (pictured). Measures 13 x 13 x 3cm / 5.25 x 5.25 x 1.25in.